I haven’t figured out how to avoid the warping issues, yet. With the smaller pieces, I have a number of tutorials, but these beads just aren’t made to work well with large solid single product. Do you have any experience with ironing 1 board at a time or 4 boards at a time and piecing them together? I’ve seen a couple of big projects done like that, but I assume its painfully visable up close so I’m now quite sure which path to take. I haven’t seen a good example of that method without it being obvious. I think the only way to go is to iron the whole thing at once no matter how big it is. Here is an example of some of my large Perler pieces which were ironed with minimal warpage issues. Each piece was ironed as a whole once all beading was completed. I would be happy to share some of the techniques that I’ve learned for larger pieces, if there is interest. I’m interested to know how you do such large peices with no ironing problems. Your work is amazing! I have read several pages of your blog and was referred to your blog by another perler streamer. First I’d like to thank you for all the advice and information you have on this site. Secondly I would like to ask a question. 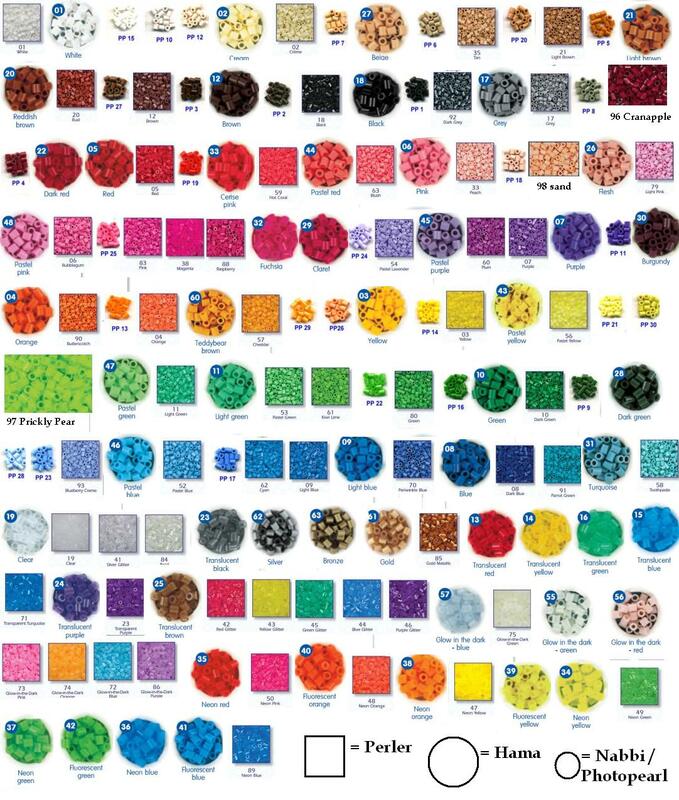 I have just finished sorting a 22k bucket of perlers but since it is my first 22k bucket of perlers and my first time working with perlers I’m having a hard time figuring out which colors are which. Do you maybe have a list up of sorts or any tips on how to help with this without going out and buying individual bags of each color to verify? My friend bought me the beads and I don’t have the money right now to buy individual colors. Here is a link to a color chart. Personally, I would like to hear some workable tips for ironing large pieces. My experience has been beads’ refusal to melt and then warpage. I would also like to hear tips for hanging the finished art on wall.